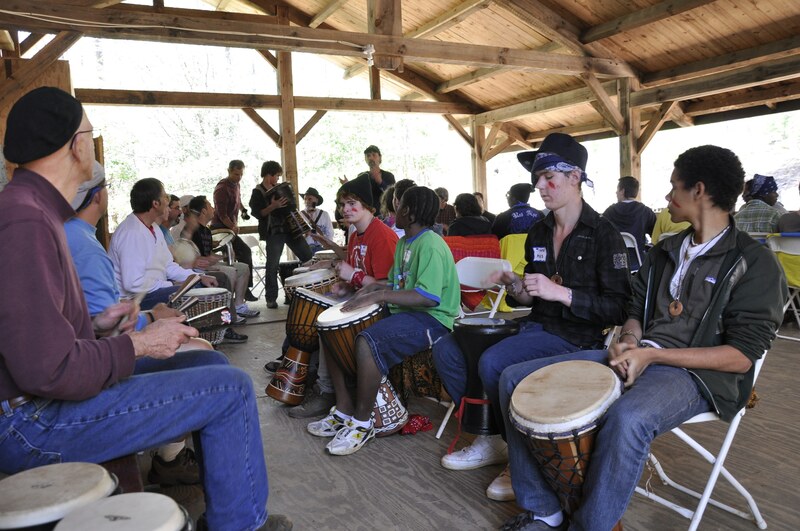 On August 31st, 2011, teen boys and mentors from Journeymen Triangle will be at Pullen Park (in Raleigh) drumming along with the Raleigh Drum Circle’s Drum for the Hoop Jam. We are inviting everyone interested in mentoring for teen boys to come out and drum with us. We will have fun, get to know new folks, have some literature available about us and upcoming events, and folks there to answer any questions. Plus, if you’re lucky and get there early, we may have a hotdog available to share. Bring: Your curiosity, drumming fingers, and a folding chair to sit on. Note for 2011: The amusement and playground areas are still under construction and fenced off. The grassy picnic area where the drumming happens is at the top of the hill are not impacted. Go past the Pullen pool’s parking area at the top of the hill (follow your ears to the drumming). 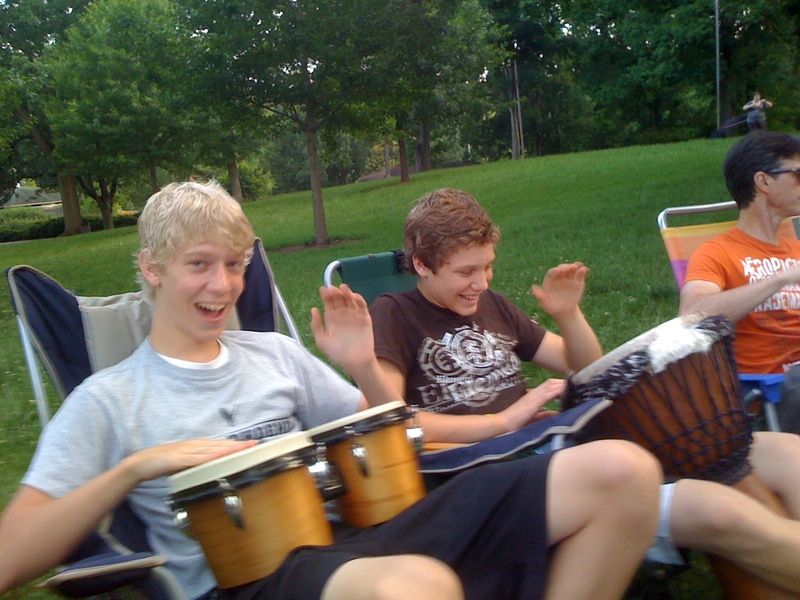 FREE – Come join us as we drum with the Raleigh Drum Circle! ← You can still help the Raleigh Tornado Victims with Come Unity Now! See pictures of the great day.